Previously, the Rule 10b5-1 plan bill was part of the larger package of legislation contained in JOBS Act 3.0, which overwhelmingly passed the House during the last Congress but never got a vote in the Senate. House Financial Services Committee Chairwoman Maxine Waters (D-Calif) and Ranking Member Patrick McHenry (R-NC) recently reintroduced legislation that would bring new scrutiny to Rule 10b5-1 plans that are ostensibly used by corporate insiders to trade company stock without running afoul of the SEC’s antifraud authorities. The Council of Institutional Investors, in a letter to House FSC leaders signaled its “strong support” for the bill, which it said would address some of the concerns the CII had raised in a 2012 rulemaking petition it submitted to the SEC. The “spirit” of Rule 10b5-1; Intel stock trades. The CII’s renewed interest and its rulemaking petition were, in part, prompted by a series of The Wall Street Journal articles that suggested corporate insiders were at least violating the “spirit” of Rule 10b5-1. Specifically, the CII petition cited executives’ practices of: (1) adopting plans while they are aware of material, non-public information; (2) regularly amending or canceling plans; and (3) adopting plans that permit trading soon after adoption. A more recent motivation for bringing forward legislation on Rule 10b5-1 plans arose following news reports that Intel Corporation CEO Brian Krzanich had exercised company stock options and sold the resulting shares pursuant to a modified Rule 10b5-1 trading plan in a time frame when Intel allegedly became aware of the Meltdown and Spectre cybersecurity vulnerabilities affecting Intel processors. Putting the spotlight on trading plans. Exchange Act Rule 10b5-1 specifies when securities trading is “on the basis of” material, nonpublic information regarding Exchange Act Section 10(b) and Rule 10b-5 which, in combination, constitute part of the SEC’s most significant anti-fraud authorities. An affirmative defense exists to liability in three instances, including when a company executive adopts a written trading plan. However, such written trading plans must be entered into in good faith and cannot be entered into for the purpose of evading the requirements of Rule 10b5-1. 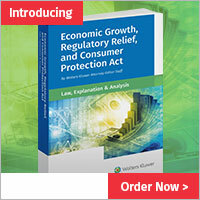 The Promoting Transparent Standards for Corporate Insiders Act (H.R. 624) would require the SEC to examine Rule 10b5-1 for gaps in coverage in light of insiders’ current trading plan practices. 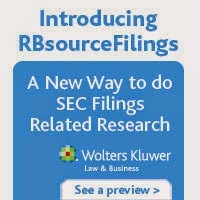 Specifically, the SEC would have to consider whether to limit trading to issuer-adopted trading windows, to curb the use of multiple (the latest version drops the word “overlapping” as in “multiple, overlapping”) trading plans, to mandate a delay between adoption of a trading plan and the first executed trade under the plan, to restrict an insider’s ability to modify or cancel a trading plan, to require companies and insiders to make certain filings with the Commission, and to mandate that company boards adopt relevant policies and monitor for compliance. The study also must consider factors such as whether revisions to Rule 10b5-1 would clarify existing limits on insider trading, alter companies’ desire to be public companies, impact capital formation, or affect the ability to recruit executives. The Commission would have to report to Congress within one year of enactment and, upon completing the study, conduct a notice and comment rulemaking to revise Rule 10b5-1. The text of the latest version is nearly identical to both the stand-alone (H.R. 6320) and JOBS Act 3.0 (Title XXVII) versions introduced in the 115th Congress. The JOBS and Investor Confidence Act of 2018 (S. 488) (aka JOBS Act 3.0) passed the House by a vote of 406-4, while the stand-alone version of the Rule 10b5-1 plan bill in the last Congress was reported by the House FSC but was not brought before the full House (See the following White Paper for addition analysis of the JOBS Act 3.0 Rule 10b5-1 provision at pages 9-10). Looking ahead. The CII had previously expressed support for earlier versions of the Rule 10b5-1 legislation citing the Intel example as an additional reason for advancing the legislation. The North American Securities Administrators Association also said in a letter to Senate Banking Committee leaders that it “strongly support[ed]” the Rule 10b5-1 plan provision in JOBS Act 3.0. The U.S. Chamber of Commerce previously supported JOBS Act 3.0 in a statement following its passage by the House, although with emphasis on the bill’s capital formation provisions and without specifically mentioning the Rule 10b5-1 plan provision.